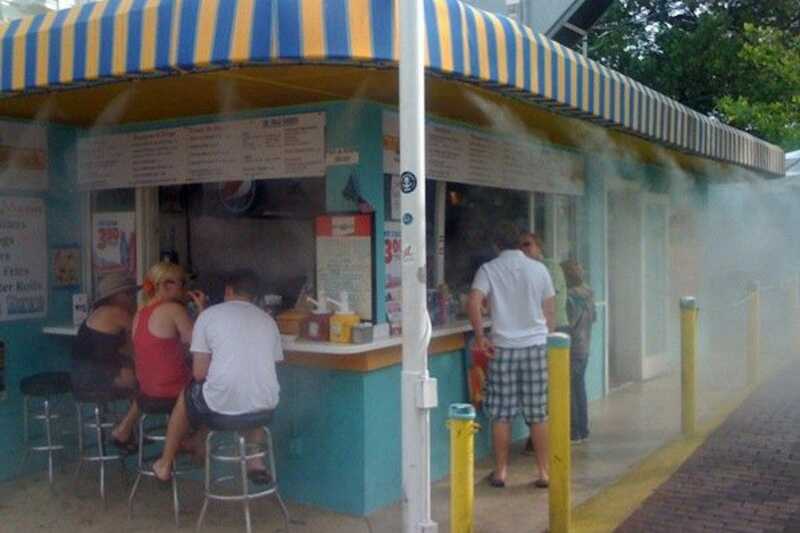 When visiting the Florida Keys and Key West, you must seek out a classic fish shack for at least one of your meals. It’s an experience you won’t forget. Most of these eateries like Hogfish Bar & Grill and Half Shell Raw Bar offer open-air dining on rustic picnic tables with waterside views. The large thatched tiki, Sunset Grille, even has a stellar sunset view in the shadow of the Seven Mile Bridge. 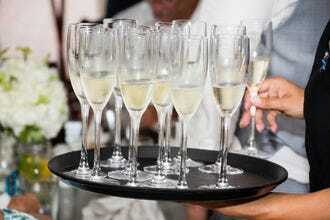 Expect casual service, plastic silverware and a minimal dress code. One of the most important features of these Old Florida Keys throwbacks--they serve the freshest seafood at great prices. Often this means a close relationship with the local fishermen. 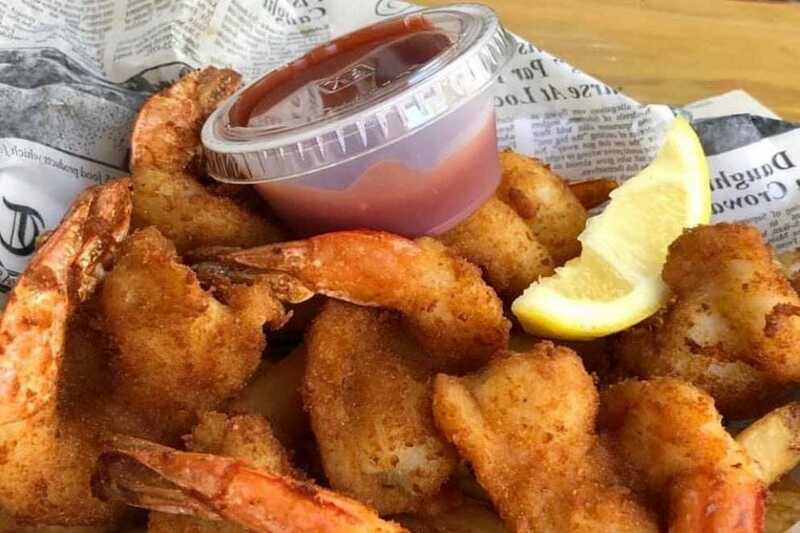 At the Hungry Tarpon at Robbie’s Marina, you can even catch your meal on one of their fishing charters, and Keys Fisheries is truly boat-to-table dining. BO’s Fish Wagon, tucked underneath a junker car, is the epitome of fish shack decor. While it may look as if their ceiling will collapse at any moment, their cracked conch sandwich is a delightful surprise. Some of these low-key spots like the Conch Shack and Garbo’s Grill aren’t even quite restaurants. 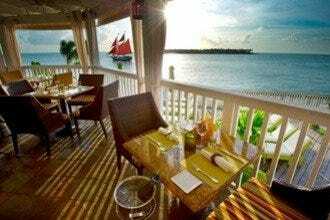 They’re hidden gems with specialties such as conch fritters and fish tacos that will have you coming back for more. Best fishery: Perfectly situated halfway between Key West and Miami, this Marathon fishery has a no-frills outdoor cafe serving lunch and dinner. Don't expect table service; this is a strictly do-it-yourself type of place. Walk up to the window to place your order. Instead of using your name, you're assigned a themed word like an animal or cartoon character. This makes it all the more fun to hear the orders called out when they're ready. The restaurant offers the usual Keys' fare--conch fritters, coconut fritters and Key lime pie--but don't miss their famous lobster reuben. Settle in at one of the picnic tables by the dock and take in the waterfront views, boats and entertaining pelicans. Their upstairs bar is a fave among the locals for their excellent prices on stone crab claws. Best to-go window: This little gem of a restaurant is the perfect spot to hit up for lunch after seeing the Southernmost Point buoy or a morning on South Beach. 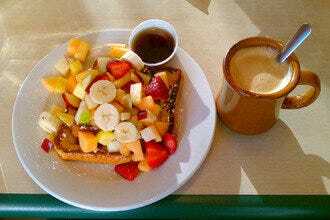 Normally in Key West, a walk-up window means Cuban coffee, but the Lobster Shack has brought a taste of the north to the south. Their lobster roll, made with Maine lobster, comes in many varieties from traditional to the Diablo made with Sriracha mayo. The lobster grilled cheese is also a customer favedon't forget to add bacon. Inside there's limited seating, but business is brisk. 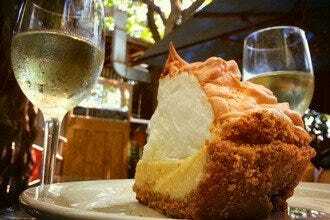 Finish your meal with a slice of Kermit's Key lime pie. 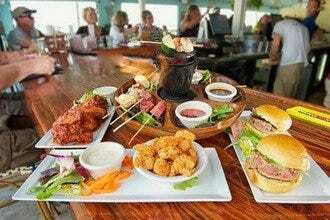 Best sunset view: The Sunset Grille and Raw Bar in Marathon is popular for its killer location next to the Seven Mile Bridge and stellar sunsets. 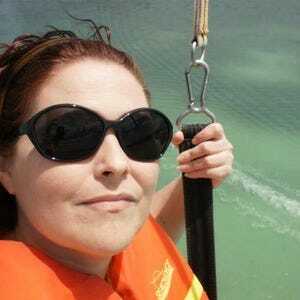 Its heated pool, beach area, large oceanfront deck and boat docks don't hurt either. It's the ultimate place to blend daytime dining and drinking with nighttime festivities. Their vast menu has something for everyone from sushi to steak under their thatched-tiki. Don't miss the specialty cocktails like the Sharkbite. You pour the "shark" into the drink and stir to make the sea turn red. Relax on the deck, sipping a margarita or strut your stuff on the dance floor when the live music begins. Don't miss their Make Your Own Margarita Bar on Sunday afternoons complete with fresh fruit like strawberries, watermelon, blueberries and more. Best decor: This seafood shack may look like it's barely standing, but the food certainly holds its own. What began as a makeshift food truck in the 70s, opened by local legend Buddy Owen, has become a staple in Key West. The fresh fish sandwiches are simple, yet the best in town. Bobby Flay and his Food Network camera crew even paid a visit for the cracked conch sandwich--tiny strips of fried conch stuffed between fresh Cuban bread and shot with Key Lime mayo. Conch fritters, salads, burgers, and hot dogs are equally tasty, and the anything-goes atmosphere sums up the entire town. The restaurant stays open until 9:30 p.m. on most nights (they'll close early if they aren't busy), and on Friday nights, you can enjoy an all-out musical jam session. 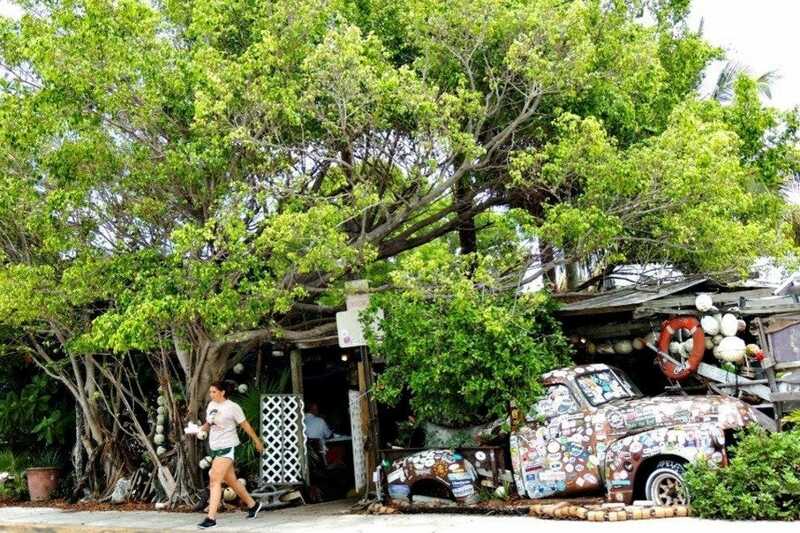 Best Lunch: This funky venue is the brainchild of two "Yankees" from Massachusetts and New York who had over 40 years of experience living in the Keys. 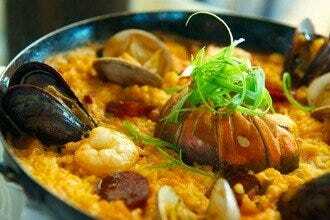 As they put it, the result is a restaurant where "Northern and Southern Seafood meet." 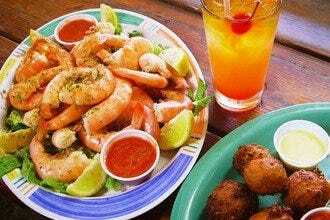 The menu features fried conch, fried clams, fried shrimp, pulled pork and fish tacos. Their Maine lobster rolls are a customer fave with generous chunks of lobster meat and light mayo. Well worth the price for what you get! It's a tiny slice on Duval with limited seating in front and at the patio in the back but makes a great lunch spot for people watching. Best local's joint: For a taste of a true local's joint just five minutes away from Old Town, follow the signs to the Hogfish Bar and Grill, located in Safe Harbor Marina on Stock Island. Try anything that's made with their namesake specialty like the "Killer" Hogfish Sandwich, which is smothered in Swiss cheese, onions and mushrooms on a fresh Cuban roll. The Hogfish Fingers or Fried Hogfish Tacos are also favorites or dig into a plate of "Peel 'n' Eat" Key West pink shrimp. All dishes call for an ice cold beer. This open-air, casual restaurant is a diamond-in-the-rough with live entertainment and a popular happy hour. The owners try to maintain that Old Key West vibe, and views of Key West's last working waterfront are a bonus. Best conch fritters: This blink-and-you'll-miss-it corner stand doesn't look like much, but they have some of the best conch fritters in Key West. You may have to wait a few minutes if there's a line, but it's worth it. The fritters are made to order, perfectly cooked and served with a Key lime aioli. If you score one of the few stools at their walk-up bar, settle in with a cold beer to watch the parade of people going past. If it's a warm day, they turn on misters to help everyone stay cool. Note that their hours are based on island time: "11ish to 10ish weeknights and 'til midnight on weekends." If it's raining, all bets are off. 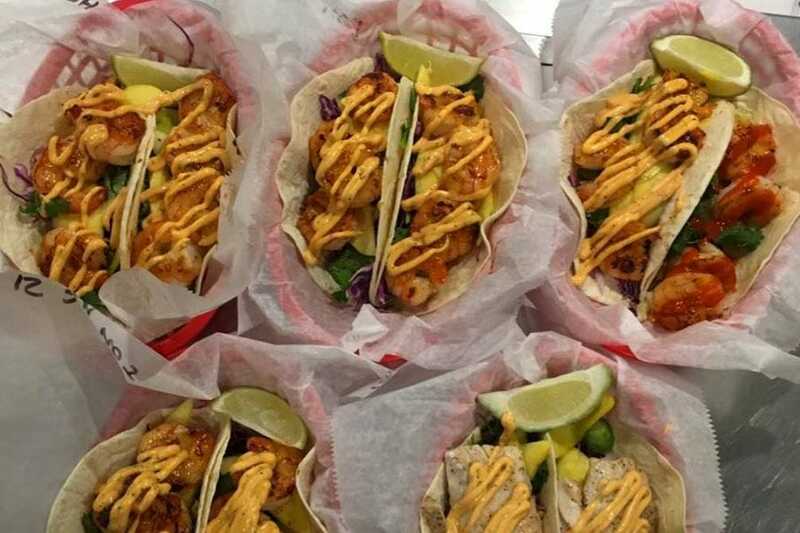 Best fish tacos: This fab food truck, located next to Grunts restaurant, has a cult following for their authentic island-style tacos and burritos. Garbo's feature on Guy Fierri's "Diners, Drive-Ins and Dives" has only increased the lines of hungry patrons. Try the Cayo Fish Mahi Mahi tacos, which come with big chunks fresh fish with mango, cilantro and red cabbage. Jalapeno mayonnaise gives it that perfect kick. For the Yum Yum Shrimp taco, they only use the local Key West Pinks, which are large and juicy. Customer fave, the Koji Korean Beef Shortrib burrito, is both sweet and spicy with a hint of sriracha. While the menu is small, it changes with the seasons offering a variety of unique flavors. 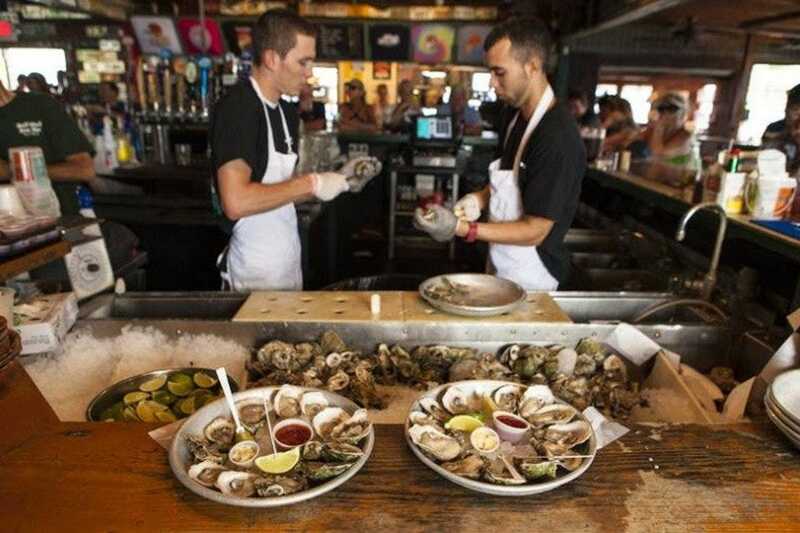 Best raw bar: Just like the classic waterfront joints of Key West past, the Half Shell Raw Bar serves the freshest seafood in a casual atmosphere. The Shrimp Po' Boy sandwich and the conch ceviche are two of their timeless menu options. Grab a picnic table by the water or head for the funky bar, which was recently featured on the cover of Kenny Chesney's single "When I See This Bar." 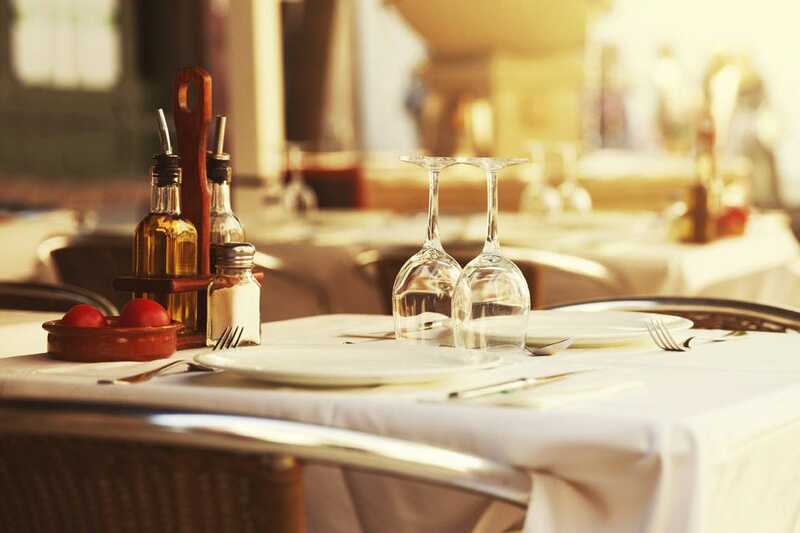 No white linen dining here, expect paper plates and plastic utensils, but when you're digging into piles of peel n' eat shrimp, oysters, clams and stone crabs, does it really matter?